Mormonism in Britain began in the late 1830s with the arrival of American missionaries from the Church of Jesus Christ of Latter-day Saints. Not long afterward, thousands of British converts emigrated to Utah and became a kind of lifeblood for the early Mormon Church. The English North West, where Mormonism had its strongest presence, has since become a place of profound significance to the church, both institutionally and internationally. Despite its importance to Mormonism, this history has never been fully explored. Matthew Rasmussen provides the first detailed account and examines how Mormonism has changed and endured in Britain. After many British believers left for America, church membership in England fell so sharply that the movement in Britain seemed to be on the brink of collapse. Yet British Mormonism gradually resurged and continues today. How did this religious minority flourish when so many nineteenth-century revivalist movements did not? Rasmussen explains Mormonism’s inception, perpetuation, and maturation in Britain in a compelling case study of a “new religious movement” with staying power. From its establishment in 1837 to its maturation in 1998, the Mormon perspective of Britain shifted dramatically. 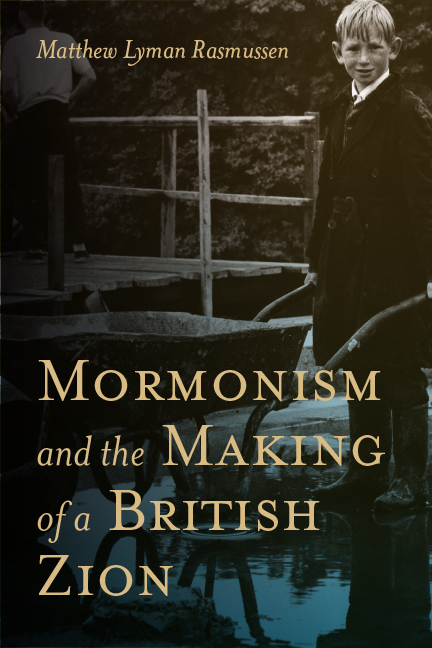 This book chronicles that shift, and illustrates how doctrinal adaptation has enabled Mormonism in Britain to persist. Matthew Lyman Rasmussen holds a bachelor’s degree in English from the University of Utah and master’s and doctoral degrees in history from Lancaster University in England. He is a past recipient of the Mormon History Association’s best dissertation award. A Utah native, he now lives in Virginia’s Shenandoah Valley with his wife and four children.